The Western Ghats is a mountain range that runs parallel to the western coast of the Indian peninsula located entirely in India. The western Ghat which is said to be one of the eight hottest hotspots in the world is a UNESCO World Heritage Site in India. The Western Ghats contains major Range of Hills and some of the Highest mountain peaks of India. The western Ghats offers four type of tropical and subtropical forest covered with shola grassland, evergreen, semi evergreen vegetation and montane grasslands. The dense forest and evergreen valleys of rolling sholas grassland of Western Ghats mountain range offers rich ecologic area for number of flowing plants. 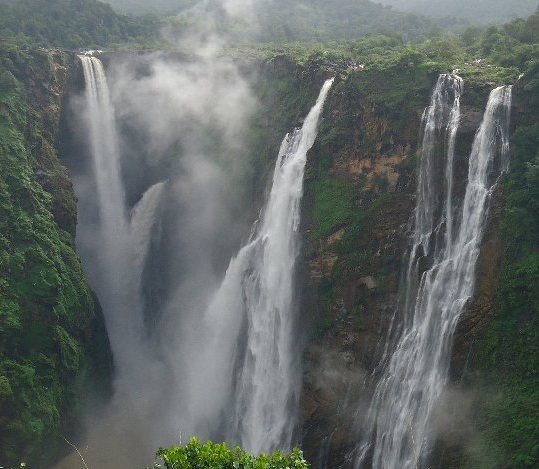 The Western Ghats region also has many natural lakes and waterfalls and also home to so many animal which dwells in the 13 nationals parks in Western Ghats. ← Nature and Beauty, Aleutian Islands Alaska.